The grand corporate event ‘The India Brand Licensing summit’ 2018 ended on a high note with more than 100 attendees attending the conference at Mumbai’s Grand Hyatt on December 5. The event featured who’s who from the brand and retail space exploring the driving factors and changing dynamics of the India brand licensing sector such as Celebrity Chef Harpal Singh Sokhi, Renowned designer Krsna Mehta, Ms. Smita Maroo (Sr.VP- Shemaroo Entertainment )Samir Jain (Executive Director and COO – Green Gold Animation), Sanjay Dhar (ACK Media President), Prasad Kapre (CEO and Director of Style Quotient Jewellery which manages ‘Being Human Jewellery’, Permendra Singh (Head - Consumer Products at Mattel India), Manish Mandhana (CEO of Mandhana Industries which handles Being Human) among others. 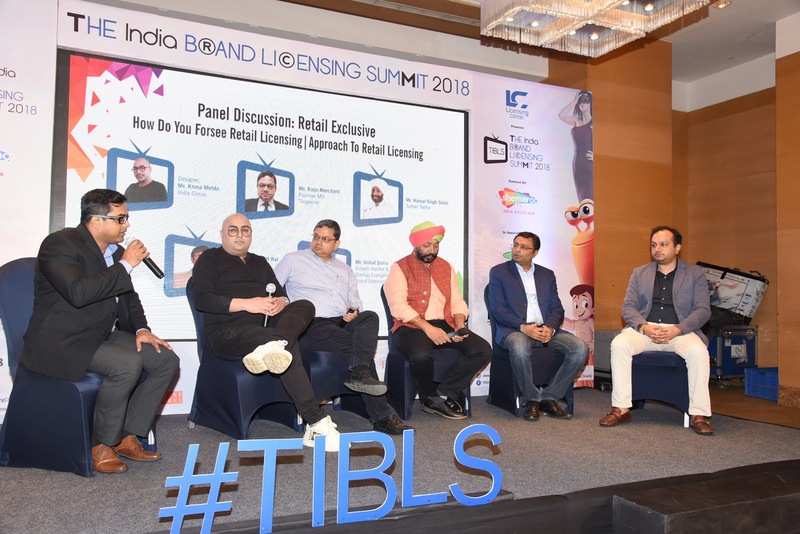 On TIBLS, unveiling the logo of his new initiative, chef Harpal Singh Sokhi launched his licensing programme comprising of home décor and kitchenware appliances. During the entertainment segment, favourite animated character mascots such as Chhota Bheem and friends – Mighty Raju and Chutki, Garfield, and Sinchan enthralled their moves. Founder and CEO of Licensing Corner Rutika Malaviya and Vishal Sinha (thought leader from the brand licensing sector) launched the ‘BAIL’ logo to foster the growth of licensing in India. Being Human – The Salman Khan Foundation had recently partnered with Mumbai-based Style Quotient Jewellery Private Ltd. to introduce Being Human Jewellery’s first exclusive franchise store in Chandigarh. The event was powered by Shemaroo Entertainment in association with Green Gold Animation.